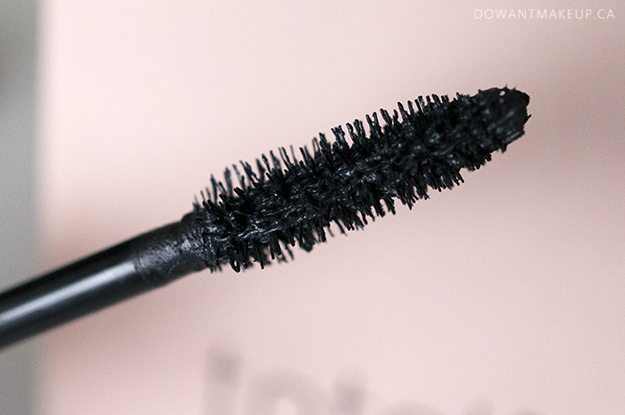 The Total Temptation mascara claims to have a "soft touch" and a "sensuous glide" o__o;; The brush is your average mascara wand. While it did apply through my lashes cleanly without too much clumping, it didn't deliver much of the promised "addictive volume". My straight, classic-Asian lashes also quickly lost their curl. The black area on the tube packaging is flat, which gives you a nice area to rest your thumb while applying mascara, but that was basically the only thing I liked about it. Sadly, this mascara was just like all the other standard drugstore mascaras I tried as a teenager that left me feeling disappointed. 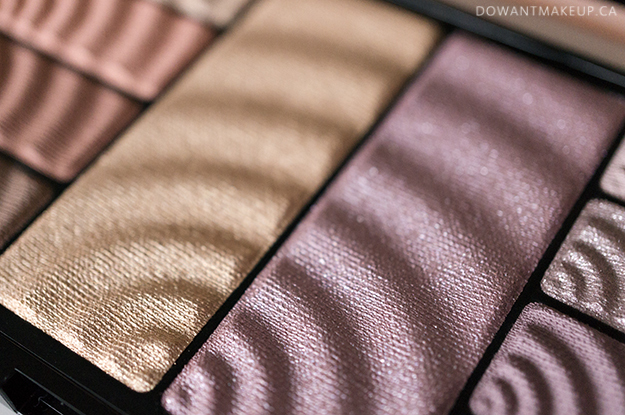 The Shadow + Highlight palette was intriguing, with its warmer left side (the "natural look") and a cool-toned, purply side (the "bold look"). The pans have a wavy pattern that is fun to photograph, though a little trippy if I stare at the close-up photos for too long.. The warm side gives me good desert vibes with its golds and oranges. 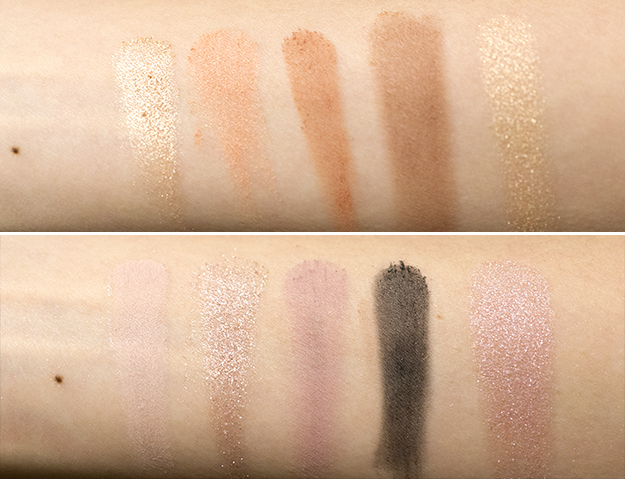 Both sides have a mix of shimmery and matte shades, but overall the shimmery shades had a better consistency and colour payoff. However, I think the colours within each of the two sides were a little too similar to each other; there's not enough contrast between colours to tell them apart once applied to the eye. 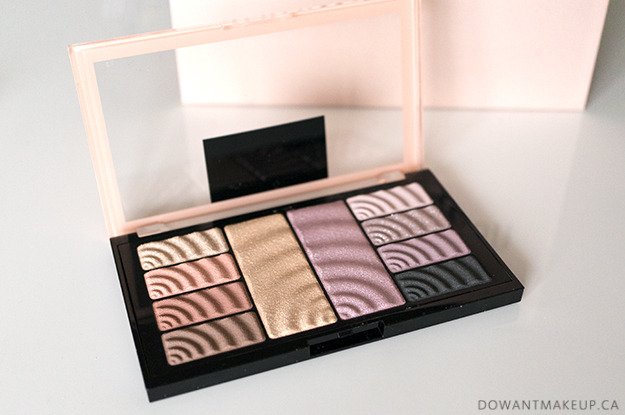 If you're using only the shades from this palette, the resulting eye look can look a little one-note. 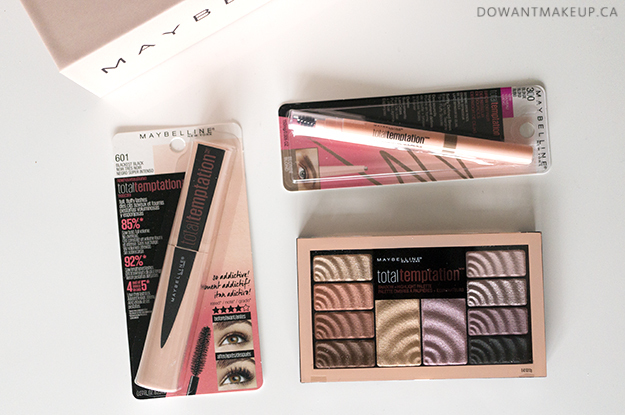 I'm wearing the warmer eyeshadows, as well as the champagne gold highlighter on my cheekbones. Since there's not much difference between the eyeshadow shades, the overall impression is that it's just a wash of one colour over the lids. For what it's worth, I actually really liked the orange eyeshadow on me! 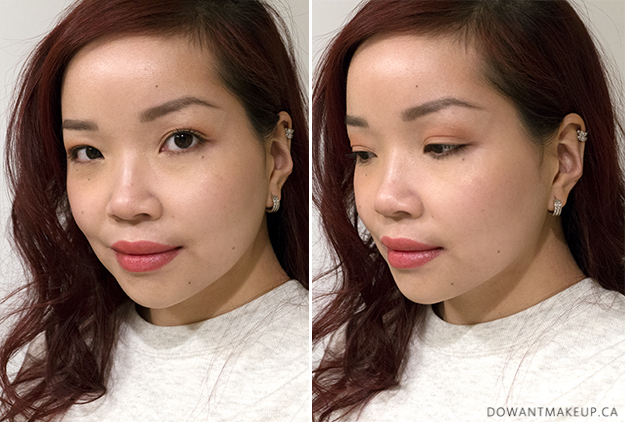 The look was very summery, warm, and desert-y, especially paired with Pixi's Mattelustre lipstick in Peach Blossom. Personally, this collection is overall a skip. The palette is promising, but the lack of variety in the colours and glittery highlighters loses points with me. It has inspired me to wear orange eyeshadow more often though!